Last week La Tania launched their new logo – the first since the resort opened almost 25 years ago. The rationale for the rebrand is to ensure that the resort maintains its own clear identity – surrounded as it is by Courchevel on one side and Meribel on the other. Both of these two valleys have recently rebranded their ‘stations‘ in recent years. 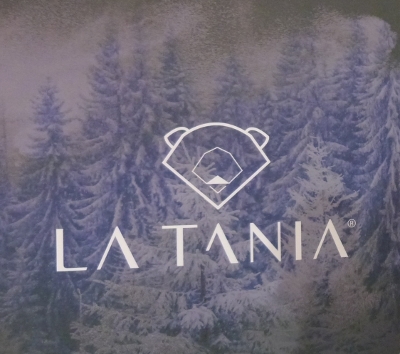 Apparently four agencies consulted on the La Tania rebrand all proposed a logo oriented around a bear. It suggests a year-round resort within the forest. Remy Ollivier, mayor of Perriere, said at the launch that the resort hopes to extend from 5000 to 6000 beds within the next two to three years, and the addition of an extra lift. There are also plans to cover the swimming pool so it is useable in all weather conditions.